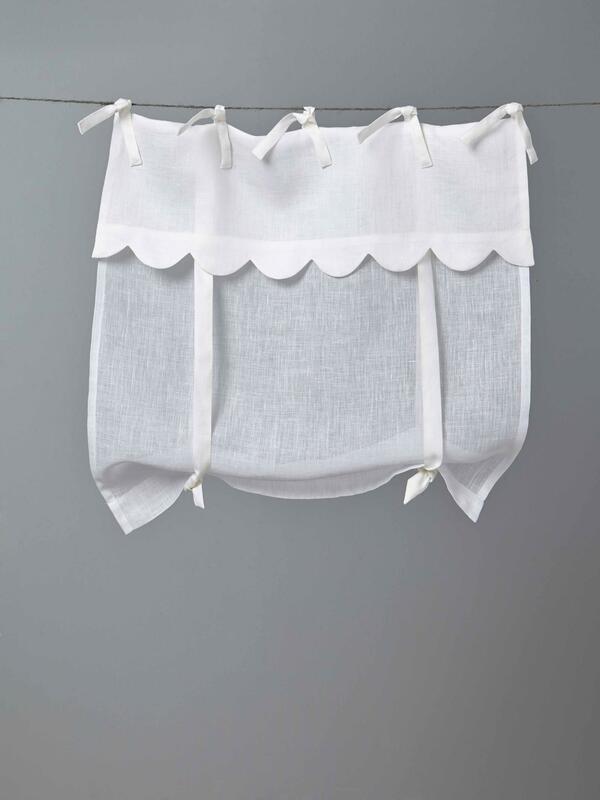 This featherweight half curtain dresses your windows in elegance and reduces visibility from outside your home. Tie mounts. Height adjustable with ties. Scalloped facing. Main fabric in muslin.